A collection of games & activities that can be used in Physical Education class. 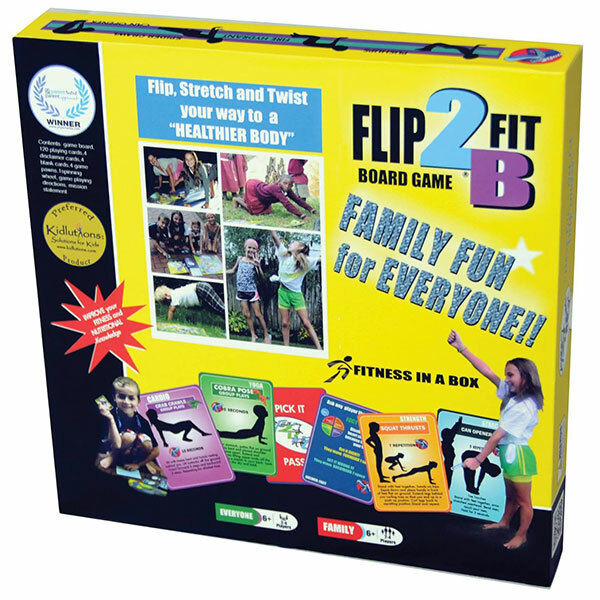 "The exciting new kids fitness board game. Innovatively incorporating yoga, cardio, stretching and strength to get everyone up, moving, jumping, laughing and just simply having FUN while exercising. Play as individuals or groups no equipment or experience needed. Spin a wheel, pick a card, complete an exercise individually or as teams and strategically make your way to the finish line. 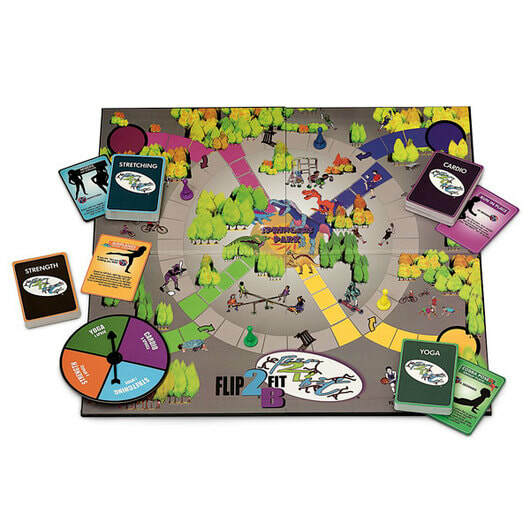 A board game like no other creating healthy lifestyles today that will last a lifetime ahead." In looking at the game itself there are several things that impressed me. First, the quality of the product is awesome. Second, the graphics on the cards and the game board are very visually appealing and easy to follow. Third, the game is super easy to play. 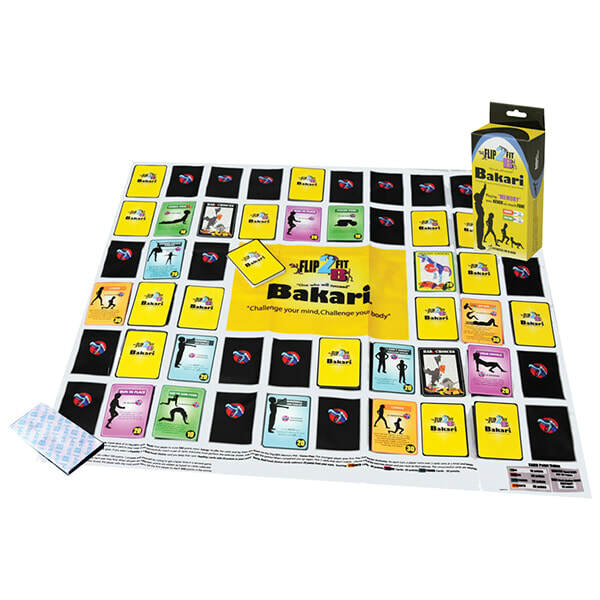 Watch the video below to see how to play this fun and super engaging physical activity game then I'll be back to show you the other game (Bakari). The exercise cards can be used for not only these games, but can be used in a variety of Physical Education games as well. For example, students can play a tag game and perform an exercise on the card if they get tagged. Another idea is to have all students holding a card and play a game of Everyone's It. For 1 minute students can tag anyone they wish with the hand that doesn't hold the card. If they tag someone, they switch cards. After one minute stop the students at which time they perform the exercise on the card. Hundreds of variations! 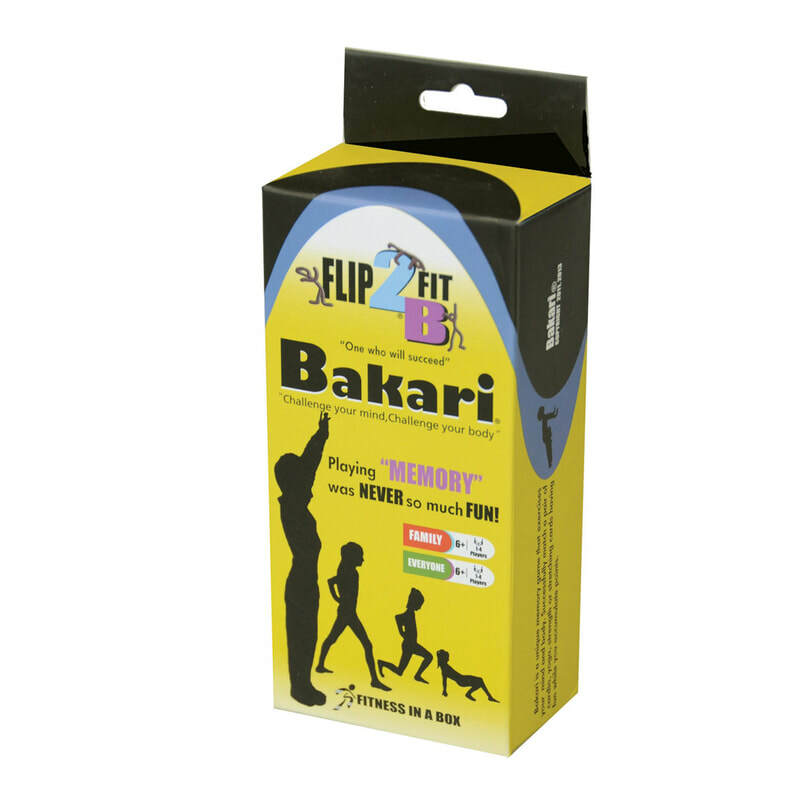 I highly recommend Flip2BFit and Bakari as a fun and easy way to incorporate fitness. Click on the link below to go to their website to order. We've all been there. The gym is being used for an assembly (Plan "A") and it's raining outside. Plan "B" (outside) is gone. Now onto plan "C", (the classroom). Oh no, there's testing going on and you can't be loud. Now what? Well, if you have pedometers, this may be a lifesaver. I have to tell you this is not my idea. It was presented at a workshop over 15 years ago. I had it tucked away for a "rainy" day and boy did the kids love it. 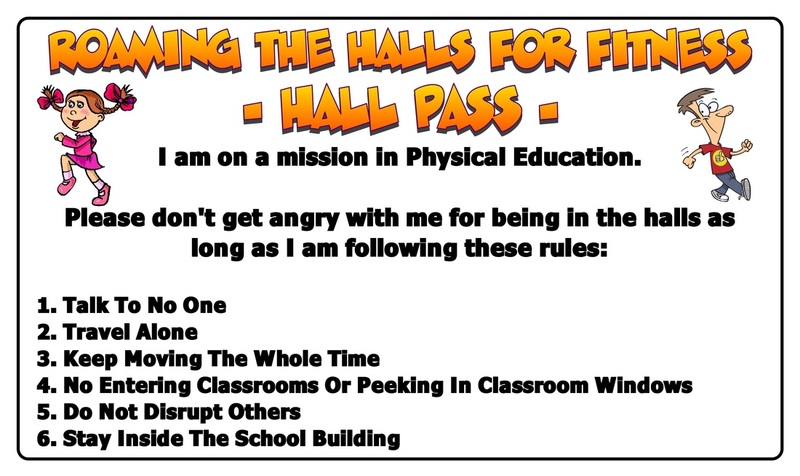 Basically students wear the "Roaming The Halls For Fitness' hall pass as they walk the halls of the school while wearing a pedometer. At my school we have hallways in the shape of a square that go all around the school. I stay at a central location as students all walk the same direction following the rules on the hall pass. To add some fun and mystery to the walk I tell them that I have "spies" stationed around the school watching to see if students are following the rules. Below are the hall passes. I used plastic badge holders (See Below) that I purchased on Amazon with extra Jump Rope For Heart lanyards placed around their necks. My kids loved this and wanted to do it again!!! 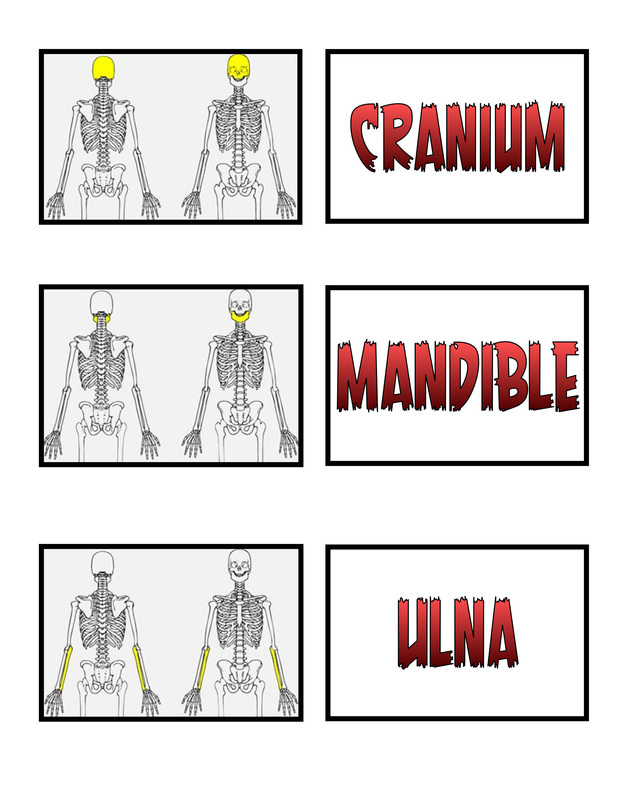 Create you own game using these bone cards. 15 total bone cards.